My husband is determined to lose weight, he started watching the portion of the food he eats. Without a food scale it's seems hard to just estimate especially when it comes to meat. 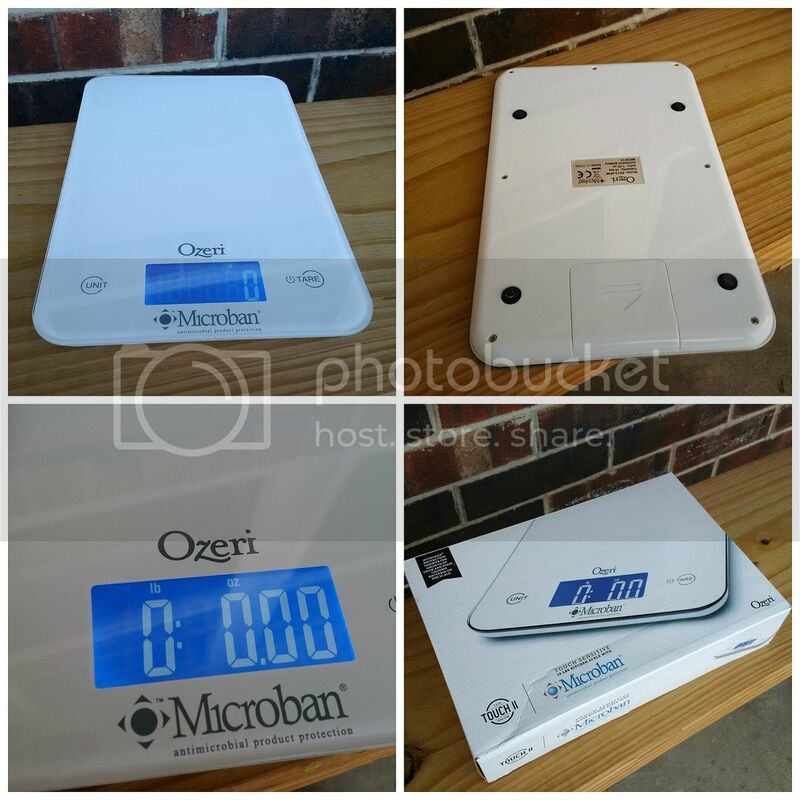 Glad I was offered by Ozeri to review their very cool Touch II Digital Scale with Microban protection. 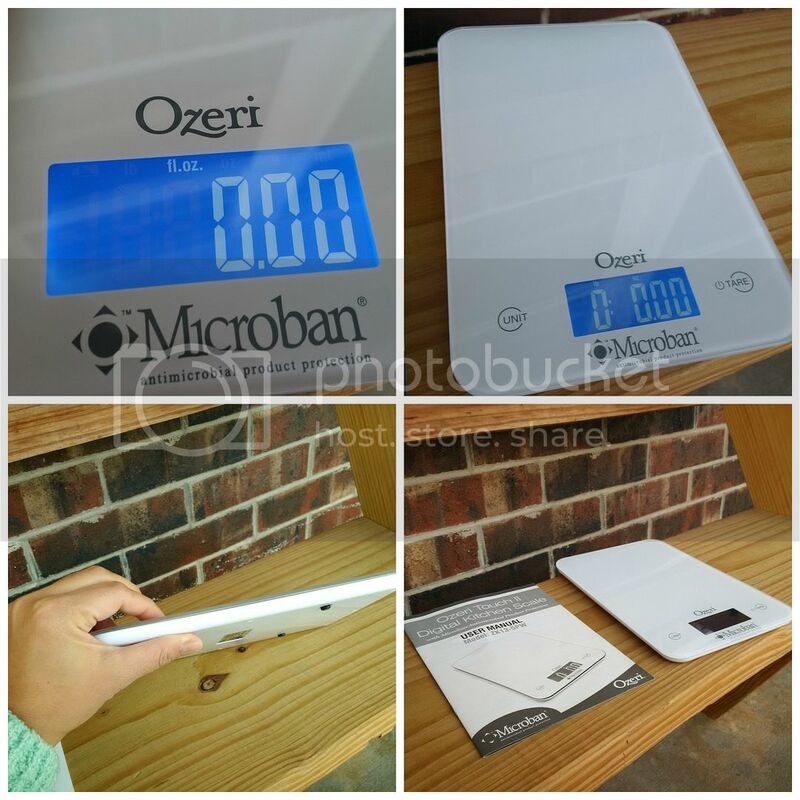 This Ozeri digital scale has a sleek design, so thin that it looks like a tablet for me. The surface is smooth and has microban protection that helps prevent the growth of the bacteria and makes cleaning very easy. The product came with a clear and helpful instruction manual. Everything I need to know on how to use it and cleaning instructions are there. It came with 2 lithium batteries so we were able to use it right away. It has a blue LCD screen, touch sensitive buttons and has a weigh capacity of 0.05 oz to 18 lbs. It has a tare buttons that lets me subtract the container weight and I can easily change the unit by pressing the unit button between lb, oz, g, ml and fl oz. It has rubber foot pads to prevent from slipping on a counter. My husband has been using it in measuring his cereal and ground beef. I've used it for measuring my ingredients for cooking. I love that I can measure fluids or dry ingredients using this scale. Overall, I like this digital scale, easy to clean by just using a damp cloth. It has been very helpful not just for my husband but for me too especially when I am cooking. Just a heads up, you have to be looking at the right angle which is the right way to use this scale anyway, so you will be able to see the numbers on the screen. If you are at the wrong angle it will be hard to see the numbers. Also, replacing the battery will come easy because it doesn't have a screw. Just slide the battery cover and there you go you'll be able to put a new one. I love the product and I recommend it. Disclosure: I received the product from Ozeri for Free in exchange of my honest review.